You drop a piece of chocolate on the floor and quickly realizing, rush to pick it back up. You’ve got a few cats in the house, and you’re pretty sure chocolate is not something they should eat. Chocolate, like coffee, seems to be one of those things you just sorta know not to let a cat get its paws on. But why? And is our gut suspicion that chocolate is dangerous for cats right on the money? 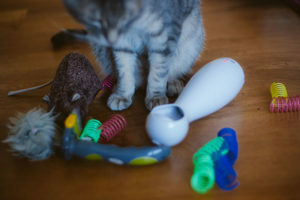 Why chocolate is so dangerous for cats to eat, what chocolate poisoning is, symptoms of chocolate poisoning, what to do if your cat has ingested chocolate, and what types of chocolate are dangerous for kitties to ingest – that’s what you’ll learn about in the remainder of this article. 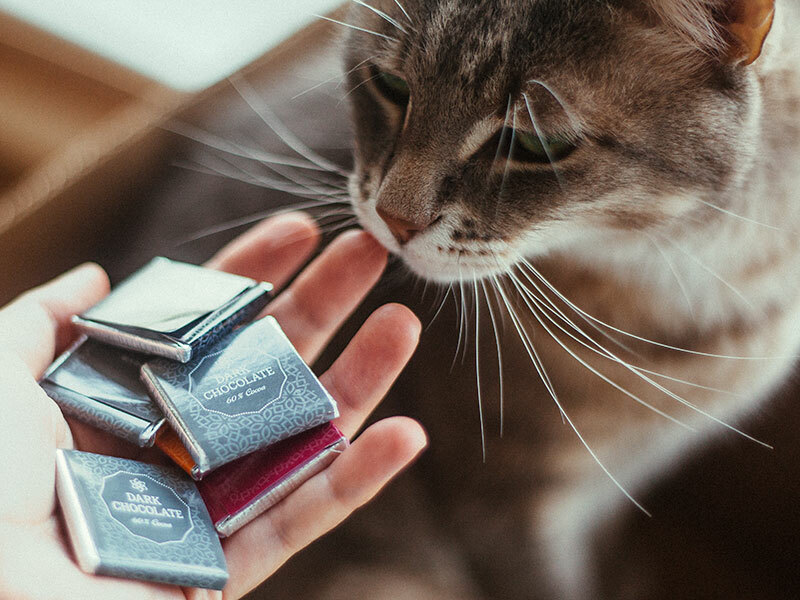 Why Is Chocolate So Dangerous for Cats to Eat? 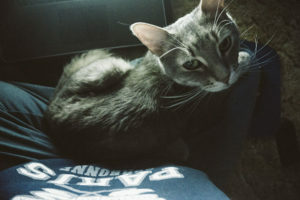 Chocolate contains two properties that are dangerous for cats to ingest. The first is caffeine, which is why coffee is also on the list of foods to keep well away from any and all cats. Chances are good if you looked this up, you already suspected caffeine might be the issue with chocolate. It makes sense that it’d be a problematic substance for cats, and while this is certainly true, it actually isn’t the whole story. You see, white chocolate has no caffeine in it; yet white chocolate, too, is dangerous for cats to eat. 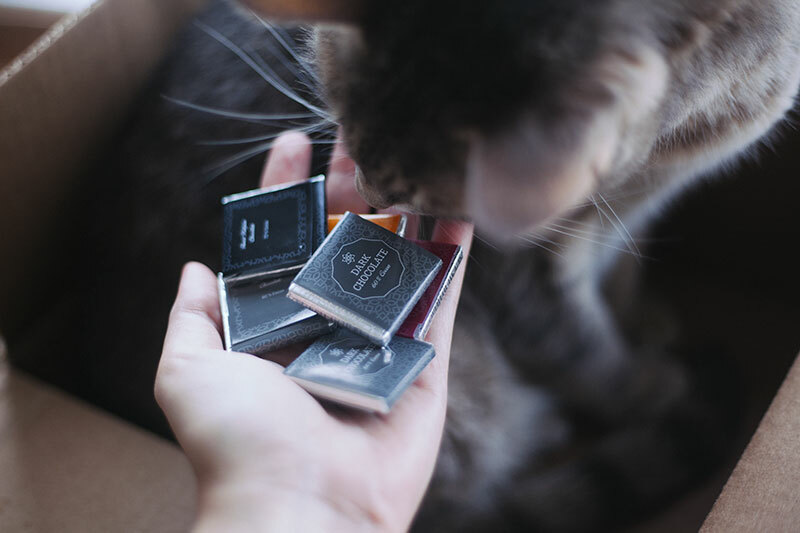 This may sound is surprising, but it’s easily explained since there is yet another property that exists in chocolate – this one in all chocolate, even the vegan kind – that’s dangerous if cats ingest it: a property called theobromine. Remember this name from the introduction? It’s the property that has the potential to lead cats to have chocolate poisoning. Caffeine does not lead to chocolate poisoning, theobromine does, and as I’ve said, theobromine exists in all chocolates. Why is it in even white chocolate? Where does the theobromine come from? Can you take it out of chocolate? The answer is simple: the theobromine is there to stay because it comes from the single ingredient you need to make any type of chocolate: cacao. Wikipedia points out that the term “chocolate poisoning” is an incorrect way of saying “theobromine poisoning”. Why it’s incorrect makes perfect sense: yes, theobromine poisoning can happen from eating chocolate, but it can also happen from eating other things that have theobromine in them as well. Including: tea, cola beverages, & açaí berries. Can humans get theobromine/chocolate poisoning? Yes, technically we can, but it’s far less likely a human will be poisoned by theobromine than it is that a cat, dog, or other pet will be. Why? Plainly put: human bodies can handle a lot more theobromine than cat or dog bodies can. Serious [theobromine] poisoning happens more frequently in domestic animals, which metabolize theobromine much more slowly than humans, and can easily consume enough chocolate to cause chocolate poisoning. If large numbers of filled chocolate candies are consumed, another serious danger is posed by the fat and sugar in the fillings, which can sometimes trigger life-threatening pancreatitis several days later. So humans have systems that metabolize chocolate quite quickly, and thus we aren’t very likely to get theobromine/chocolate poisoning ourselves. Cats and dogs, however, are slow at metabolizing theobromine, and thus are much more likely to get poisoned from eating chocolate. The Wikipedia article points out that dogs are more likely to get chocolate poisoning than cats because they can taste sugar and will be tempted to eat chocolate. 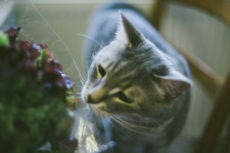 Cats, while less likely to get chocolate poisoning, are only less likely to get it because they’re not as likely to try to eat the chocolate in the first place (since they can’t taste sweetness – unlike dogs). But that doesn’t mean that if a cat ingested as much chocolate as a dog did, a cat would be safer. In fact, the opposite is true, cats can handle even less theobromine before the toxicity becomes an issue. And if you’re wondering, yes, theobromine poisoning is the type of thing that can unfortunately cause a pet to die. If you even remotely near suspect your pet may have eaten chocolate, call in and take him/her straight to the vet. Don’t wait for symptoms to show up. As I’ve already said, however, you shouldn’t wait for symptoms to show up. 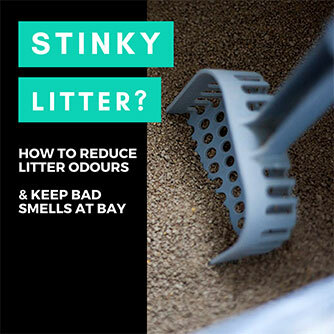 If you find empty chocolate wrappers or have dropped chocolate on the floor and notice it missing, or if you’ve watched a cat eat chocolate – no matter what kind – call in to a vet and take your cat in. Don’t wait for symptoms to appear. Why? Time is of the essence when a pet has theobromine poisoning, which is explained in more detail in the next section. If you even remotely near suspect your cat has ingested chocolate – go see a vet. Vets can definitely do something about theobromine poisoning, though they will need you to act (bring the pet to them) as quickly as possible for the highest rate of success. The vet will most likely do a blood test, get your pet to vomit out the chocolate, administer medications, and may even perform an ECG to check on your cat’s heart. A vet will want to induce vomiting in a pet that’s eaten chocolate within the first 2 hours, so don’t wait at all to go see a vet if you suspect your pet has theobromine poisoning. Do call ahead to let the vet know and confirm that the vet can accept you as soon as possible, but definitely do not expect to take a cat in after work or after an appointment. If no vet is open, look for a pet hospital that is. Act as quickly as physically possible, as if your suspicions about your cat having eaten chocolate are correct, getting this resolved is very time sensitive. The longer chocolate is in a pet’s system, the more of it will be digested, and thus, the longer chocolate is in your pet’s system the more dangerous it becomes to your pet. So please, even if you’re not 100% sure, if you even remotely near suspect your pet has eaten chocolate – get him/her to a vet pronto. Keeping your pet as calm as possible. Not so easy when you’re taking him/her to the vet, but do your absolute best, because a stressed out kitty can enhance the symptoms of chocolate poisoning. If your vet asks: you may need to help your pet induce vomiting. Don’t try to induce vomiting by yourself. Get a vet on the phone first and explain that chocolate has likely been ingested. 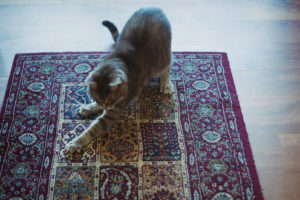 Follow the vet’s instructions, which may or may not include doing this step y yourself. But I thought I’d write this into the article as it may be something your vet will ask you to do – especially, I’d suspect, if it’s not easy for you to get to the vet quickly. After having taken your pet to the vet: make sure your cat stays hydrated. 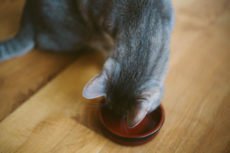 Vomiting takes a lot of liquids out of your system, and since it’s a requirement to getting your cat better after he/she has ingested chocolate, it’s important to make sure those liquids are replaced after the vet has patched your kitty up. 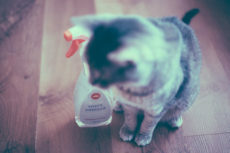 Make sure to keep fresh water near your cat at all times, and monitor to make sure your cat drinks enough. 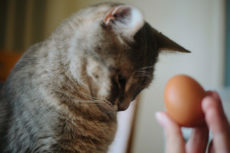 What Types of Chocolate Are Dangerous for Cats to Eat? All. Chocolate. Is. Unsafe. For. Cats. Baking chocolate is the most dangerous for cats to eat (contains the most theobromine). Dark chocolate is also incredibly dangerous for cats to eat (it contains both caffeine & theobromine). 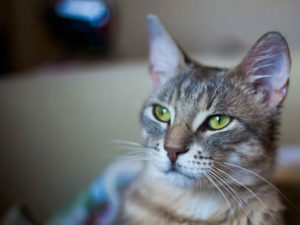 Milk chocolate is very dangerous for cats to eat (it contains caffeine & theobromine). 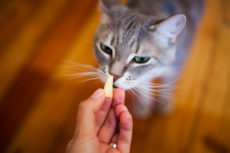 White chocolate, too, is dangerous for cats to eat (it contains theobromine). 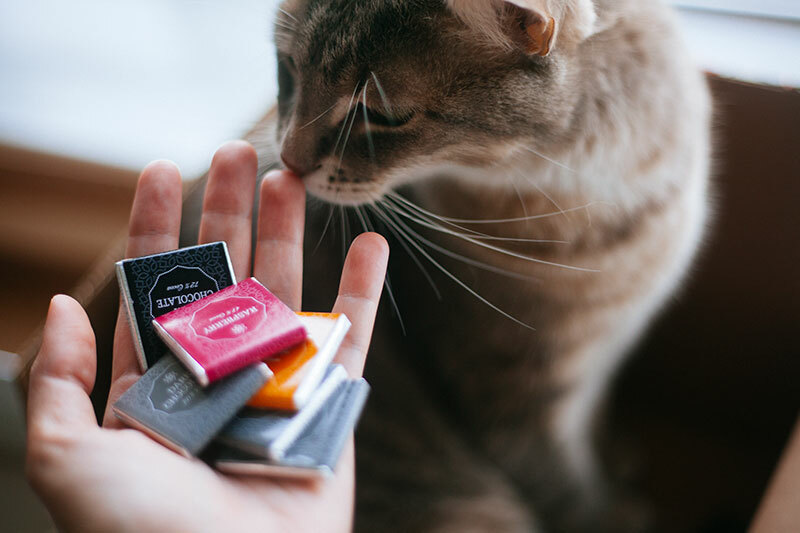 Even vegan chocolate is dangerous for cats to eat (contains theobromine). One more time: caffeine is bad, but what makes chocolate really bad for pets is the theobromine, which is found in cacao. You cannot make chocolate without cacao; every type of chocolate under the sun requires cacao as an ingredient, and so no chocolate is safe for a cat to ingest. Obviously, the more theobromine is present, the more dangerous the chocolate is to the cat, and the worst chocolates for a cat to eat are ones that have high theobromine. Baking chocolate and dark chocolate top that list. But that doesn’t mean you should go about letting your cat near any chocolate. 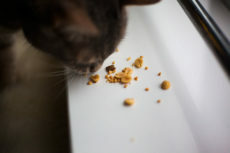 This includes chocolate-y cereal and chocolate ice cream, chocolate cake and hot chocolate – all of these would not be good at all for a cat to eat, and if a cat does eat them, you should call up your vet right away and explain what kitty’s ingested. Your Thoughts on Chocolate Poisoning? Did you know that all chocolate is poisonous to cats? Did you suspect white chocolate might be safe? I know I did before I researched this article! Not that I would’ve given a cat white chocolate by any stretch of the imagination, but I’m very glad I took the time to look it up! Have you ever known a cat or dog to have eaten chocolate? How did things turn out? 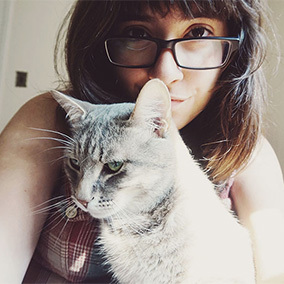 I have an 18 years old cat and she LOVES chocolate and sweets. Whenever we’re having it we give her a small piece or two. She especially like milk chocolate. She always ate it and never had any problems. She also stole chocolate rabbits and chicks we bought for Easter a few times so now we’re putting them in the fridge every time… She steals cookies as well. I’ve heard of one other cat who does this kind of thing (is crazy about nibbling on chocolate!) 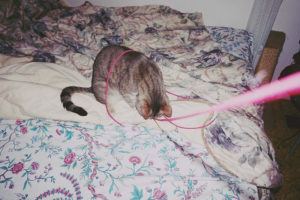 – was my neighbour’s cat back when I lived in Canada. She was convinced that kids used to feed her cat chocolate back before she adopted her (the cat was a stray she took in as an adult). I’m really curious about how many other cats get away with eating chocolate unscathed like this. Maybe they have an immunity built up or some kind of gene that makes the effects not felt by them? I have no idea but think it’d be really interesting to find out! Excellent post. I have always kept them away from chocolate, but I never knew even white chocolate was bad for them. Me neither! I was convinced it was just about the caffeine before I researched. The peeps here always take great care to make sure we never get around any of that stuff! Nice work 🙂 And definitely yes to dogs too!